Welcome to the first edition of Cast Party, a new game where I look at a popular coming attraction and give my picks on who I would choose to play the main characters. I hope you enjoy and feel free to play along as we put forth our choices for these casts. When the plan was being formulated to bring "IT" to the big screen, it was always a plan to make it into at least two movies. The first film was going to focus on the kid's story and the second film was going to focus on the adult story. 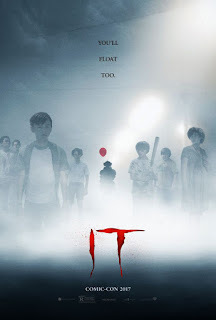 That idea is still moving forward, and with "IT" crushing it in the box office right now, its pretty much inevitable that we will see the Loser's Club unite twenty seven years later to battle Pennywise once again. The big question we have now is, who will play the adult versions of the Loser's Club? So the big question now is who will play the Loser's Club older selves? The kids from the first film have given their ideas on who should play the adults, and you can find those ideas with pretty minimal effort. Now, its my turn. Here is the list of actors I'd like to see tackle these characters. Keep in mind, since this is twenty-seven years later, and the kids being 12 or 13 in the first film, I'll only be considering actors in their late 30's, early 40's. So keep that in mind as you read on. In recent years, John Krasinski has been proving more and more that he's ready to take his film career seriously, and he's been seemingly pushing himself as an actor. He's not just "the guy from The Office" anymore and he has been making an impact on dramatic roles. 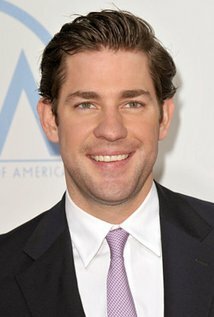 He nearly disappeared in "13 Hours," and even though I didn't love that movie, I sure did enjoy Krasinski's role in it. I also really liked him in "Detroit," where he was a total creep. Krasinski is good at being the alpha male, and I think him being the leader of this group of friends only feels natural, and he'd bring the poise, innocence and bravery that the role would require. Yep. When someone is perfect for a role, they are plain perfect for a role. Sophia Lillis, who played Beverly in "IT," says Chastain should play adult Beverly. 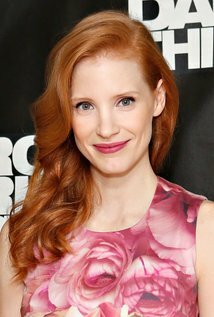 Chastain has already worked with director Andy Maschietti in the film "Mama." There are also even rumors that a deleted scene from "IT" featured an adult Beverly...played by none other than Jessica Chastain. I feel she may be a shoe-in, if she has a scheduling conflict with something else or if she's just not interested are always on the table, but I can't think of another reason why she'd pass on this. Even though I will say Amy Adams, Bryce Dallas Howard and even Christina Hendricks would be very good alternates. Yes, I get that Chris Pratt is the current favorite to play Hanscomb and I get that it would be ironic because Pratt used to be a tad overweight and now he's in shape, which is the exact transformation that happens to Ben in the book. But I think Pratt's personality would be better showcased if he were cast as someone like Richie. 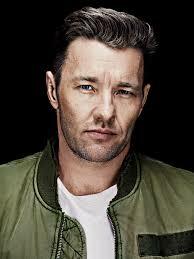 There is a striking shade of innocence required to play Ben Hanscomb well, and I think Edgerton could portray that innocence in a very profound way. He may a be a little too old for the part, but his baby face look would probably help out with that. I know that Bill Hader is a favorite to play adult Tozier, and I will admit that you wouldn't hear me complain if he would be cast. I think it is important to find someone with a comedic background to play Tozier. If you saw the first film, you know why. Tozier is the comic relief of the gang. He's the guy making impressions, making the one-liners and has an abundant knowledge of pop culture. I give the edge to Mark Duplass because, even though Duplass has done lots of funny things in his career, he's also proven to be a profound dramatic actor. Tozier is a complex person, he's a funny guy but he's got a big heart, strong loyalty and he knows when to step up and be brave. 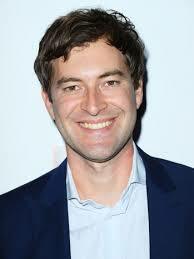 I think Duplass would be able to transition between all of Tozier's emotions while making it all feel natural. I am hoping the second film plays it a little closer to the books, if they do then Mike Hanlon is going to be a critical character. This is because Mike is the only member of the Loser's Club to stay in Derry. When Pennywise does resurface, its up to Mike to track the others down and get them to Derry, to do good on their promise. Mike goes through lots of self-doubt and suffers from some inner turmoil before contacting any of his old friends. 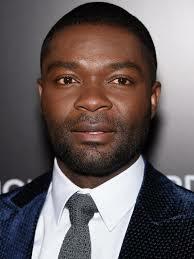 I think Oyelowo would be able to portray that perfectly. Plus, he looks like a librarian, right? I wasn't expecting young Eddie Kaspbrak to be the little spitfire that he was in the movie that came out on Friday, but hey I welcome it. Eddie might have been my favorite of the kids in the movie, and I love that he was a hypochondriac who had encyclopedic knowledge on anything pertaining to germs, but he was slyly brave and wasn't afraid to stand up for himself, even if it took some confidence build up. 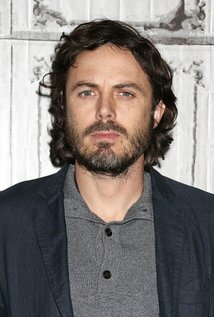 Believe it or not, Casey Affleck could be perfect for this. He's fresh off an Oscar win, and his filmography has proven that he has great range. Even in one movie. He can be blisteringly funny while also being endearingly heartfelt. Alas, he'd probably have to get a haircut. I think Affleck slight childish voice would only bring out the emotions of Eddie Kaspbrak even more. 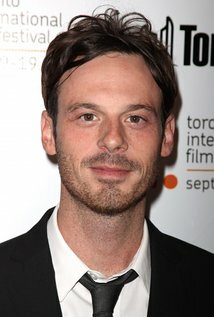 Between "Gone Girl," "Argo," "Batman vs. Superman: Dawn of Justice," "12 Years A Slave," and "Killing Them Softly," Scoot Mcnairy is an actor who has built a strong reputation only starring in mainly supporting to small roles. He's the kind of guy who can show up for one or two scenes and deliver something strikingly memorable. If you know the book, then you know that Stanley Uris isn't going to get nearly as much screen time as the other Losers, so why waste millions on a big name when you can get someone just as good who will leave a lasting impression on the character? For a guy who will do quick, great work then leave, Mcnairy is the only guy for the job. So this is my Loser's Club. Agree? Disagree? Fire away in the comment section below! Who do you think should play the adult Loser's Club in "IT: Chapter Two?"